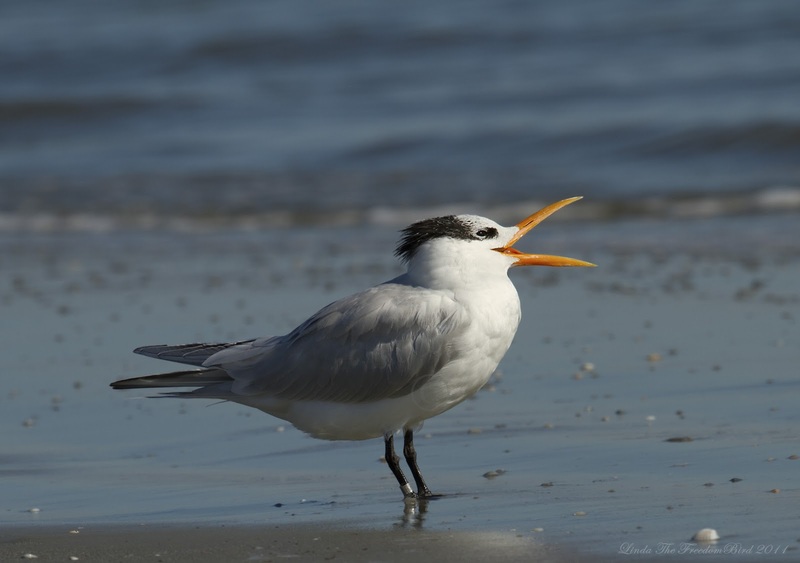 I took this shot of Royal Tern (click link to hear calls) from Jekyll Island on my way back from my this year's Christmas Bird Count. Nature and wildlife are calling! Are you listening, watching and exploring? Great shot and this would make a great Christmas card! Thanks Super Tweety! I m working on it :) Happy New Year! Thanks Greg! Happy New Year to you too! Looking forward to more pic of your mountain adventure! Thanks Sylvain! I am so happy to see you as soon as I return from my trip! I went to another short trip to day with one of my best birding friend! I snapped many pic for her and she loved! I will snap for you when we go birding next time :) Happy New Year! Thanks my dear Marie! Your city is the heaven for birds! I am sure we will see each other very soon :) Gazillion xoxoxoxoxoxo....to you! i love, love, love this cute bird. My dear Nugra..hope you have a wonderful Monday!